The general concept between App Smashing is merging content from a variety of apps. 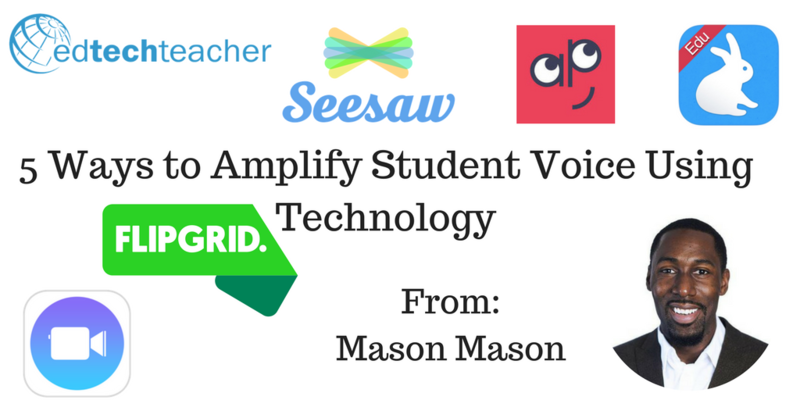 Greg likes the word App Smash, but Lisa Johnson (@techchef4u) calls it App Synergy. Toolkit for App Smashing – keep it simple! The key to App Smashing is the camera roll – use apps that can save to camera roll or take screen captures and bring them in. What’s important is that content be created, but it doesn’t have to be digital. Imagine a student who creates in the real world, takes a picture or video, brings it into a product, and publishes to the web. The idea is creation and publishing without limits. While the concept is to create content, get it into a central location, and make something with it, now, what can you do???? What can you prompt students to create. Create a multimedia book about whatever concept, topic or idea is happening in class. Content comes from students exploring resources and creating something new. Create a published web-book that can be exported to the web as a PDF. These completed products can be viewed in Issuu or Flipsnack. What about when students don’t have access? Greg has a solution – create on paper, take pictures, and publish to the web! “Making books if fun, but advanced video can be more fun,” says Greg. Consider the potential of creating video content in a variety of formats, sending it to iMovie, and then publishing via YouTube or Vimeo. “Don’t let people tell you that iPad can’t be public-facing. Get the content off.” Greg continues – even if it means putting all of it on a teacher YouTube or Vimeo channel. For a “meta experience of app smashing about app smashing,” check out AppSmash Round 1. The ThingLink Smash is one of Greg’s favorites. With ThingLink, you can create interactive images with hotspots. If you create ThingLinks from a computer, you can link any content created on iPad and published to the web: YouTube, Vimeo, SoundCloud, or even upload from the camera roll. While it is possible to upload video from the camera roll, it works better to have them linked from the cloud. For students, it’s a great opportunity to share and showcase their work. It is important to remember that once you create a ThingLink on the iPad app, you can’t go back and edit. However, the web version of ThingLink works in Safari on iPad as well as anything else with a web browser. One great solution from the crowd is to “Device Smash.” Use iPhone panorama pictures to capture student creations across a wall and then use it as a ThingLink background. RSA Animate Smashes are much like the professional videos created for the Sir Ken Robinson talk, but all created on iPad. Greg shows how Explain Everything can make this possible by creating the video, exporting to the camera roll, speeding it up in TiltShift Video, and then adding voice over via iMovie. Another option is to point an iPad towards a dry-erase board to create these videos in the real world that can be published via iPad. Greg showed this video about how to do create an RSA video on iPad. Common Craft Videos are also possible as App Smashes. Create paper objects either on paper or with a drawing app, bring them into Explain Everything to move around the objects, save to camera roll, bring into iMovie and then publish! Green Screen App Smashing is now possible thanks to the DoInk app. To do this, create video pieces in Explain Everything and/or Tellagami with a chroma-key background and then layer the videos in DoInk. The completed project can then be saved to camera roll and then brought into iMovie. In other words, you can make anything! The first key to App Smashing is AirDrop on the newer iPads. Students can easily push content to each other via AirDrop. However, Drive or Dropbox could also be used to share content. Explain Everything and Book Creator are both great apps for collaboration because the actual projects can be imported and smashed together. The capacity now exists to co-create and co-publish all from iPads. Consider the potential for wide-scale collaboration!